After the success of last year’s “FME Challenge: 12 Days of FME Hackathon”, I am pleased to announce that we’re doing it again this year! If you missed it last year, the idea is that we give you 12 days (starting right now!) to work on and submit a project to the FME Knowledge Centre. All you have to do it answer this question and tell us the title of your project, a brief description of your project and a file containing your project. This could be a workspace or custom transformer. You can enhance your submission with images, videos or a link to your submission on the FME Hub. After the 12 days are up, we will close submissions and open up the competition for voting. Because this is taking place on our community Q&A forum, that means the winner is decided by the community too! Anyone with an FME Knowledge Center account is eligible to participate and vote (if you don’t have an account, I definitely recommend getting one). Signing up for a Knowledge Centre account allows you to ask and answer questions on our Q&A forum, suggest ideas to help enhance FME, earn reputation points and badges for getting involved and post your FME creations to the FME Hub. 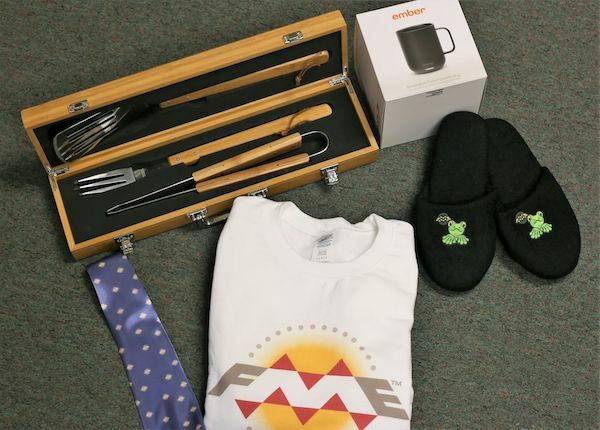 We will also be providing another one-of-a-kind FME prize pack for the winner! If you don’t have a copy of FME that you can play with at home, you can sign up for an FME Home Use License. If you’re lacking inspiration, check out last year’s submissions here . You can also see what the Safe Software support team produced for our internal hackathon: Demo Daze. Once again over American Thanksgiving, Safers on the support team had the opportunity to take 2 days during work hours to work on their own projects. As 2 days isn’t always enough time to produce a polished finished output, most of the projects listed below will hopefully get tidied up and then shared either on the FME Knowledge Center, Demos page or FME Hub. If there’s anything you’re particularly interested in, let us know in the comments below! 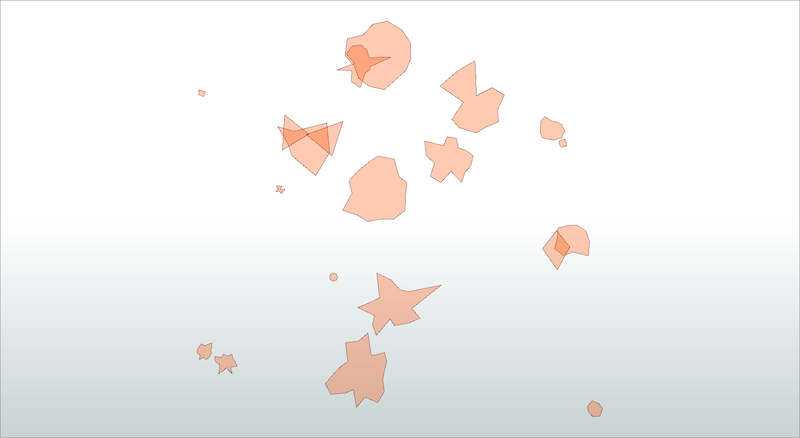 A GeometryCreator transformer that leverages the PythonCreator and Python FME Objects API to create random point, line or polygon geometry (the ability to do this within the bounds of a set coordinate system is a work in progress). This could be used as an alternative to using the Creator to create dummy features. The Open Powerlifting project is working to create an open archive of powerlifting data from across the world. Getting competition results into a database requires a lot of manual work, so a workspace was built that turns PDF tables into CSV. Have you ever authored a workspace, created multiple versions (or maybe someone else changed it) and wanted to know what the differences are? A Workspace Differences workspace is being built that analyses workspace properties, published parameters, readers, writers and transformers and lists the differences in a CSV file. 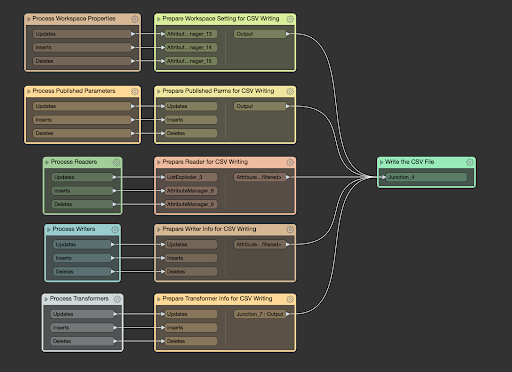 Whilst this is still under development, when complete it will hopefully make it onto the FME Demos page. FME was used to automate Ideas Exchange monitoring. We currently collect all of our product enhancement requests on our Ideas Exchange and ask users to vote if it’s something they’d like to see implemented. FME is able to read all of the ideas and votes from the Ideas Exchange to send notifications to Slack and create Jira issues. This means that ideas will be considered for development faster (as it’s automated using FME Server) and more efficiently (delivered to the right people) than previous workflows. Currently if you want to manage your job queues and engines to operate at different times, a user has to schedule workspaces that control it through the FME Server REST API. To make this easier for end users, an FME Server Queue and Engine Scheduler Project has been uploaded to the FME Hub which contains everything you need. With FME Server introducing Automations in 2019, existing users of FME Server might want to re-create their workflows using the new interface, converting from Notifications to Automations. This means remembering or working out which publications go to which topics, and which topics go to which subscribers. The FME Server REST API can be used to pull out all of the pieces in Notifications and written to Google Fusion Tables to visualise the output. The only issue is showing the direction of notifications. Kong is an API gateway, which connects easily with the FME Server REST API or Direct URLs. This allows a user to route HTTP Requests from Kong to FME Server, by creating specific (and prettier) endpoints in Kong. Due to the nature of FME requests and query string parameters, this makes it more complicated to route the requests and requires some workspace logic. Metabase is a tool that allows users to learn from their data and reads from MongoDB (which FME can read and write to). FME is also able to read in data from Salesforce (our CRM), Zendesk (our live chat tool) and AnswerHub (Knowledge Centre). This will start to show things like response time, customer satisfaction and community trends to create a Support Dashboard. JSFiddle was experimented with to see if it could be used to enhance the FME Server REST API training course. Online training via a webinar can be tough to teach, especially when trainees have to follow and edit code. Using an online code editor makes it easier to follow exercises and edit code whilst seeing the changes in real time. One question we get asked a lot is if it’s possible to build widgets in ArcGIS Web Applications that will run jobs in FME Server, and the answer is Yes! One of the initial widgets built to test this allows users to manually enter in some data and submit that to be run in FME Server. Exploration is still underway to see what is possible with widgets and FME Server.